Generic Nexium (Nexpro Tablets) are used in the treatment of Gastroesophageal Reflux Disease (GERD), Risk Reduction of NSAID-Associated Gastric Ulcer, H. pylori Eradication to reduce the risk of Duodenal Ulcer recurrence as well as Pathological hypersecretory conditions Including Zollinger-Ellison Syndrome. Generic Nexium is available as Nexpro Tablets. Nexpro tablets are manufactured by Torrent Pharmaceuticals Limited in the strengths of 20 mg and 40 mg.
We also have in stock Generic Prevacid (Lan Capsules) which are used to treat healing and maintenance of duodenal ulcer, treatment of active benign gastric ulcer, healing of NSAID-associated gastric ulcer and other conditions where it is required to reduce the amount of acid in the stomach. 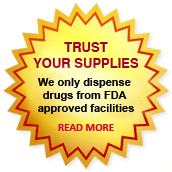 We supply original Nexpro tablets manufactured by Torrent Pharmaceuticals Limited. 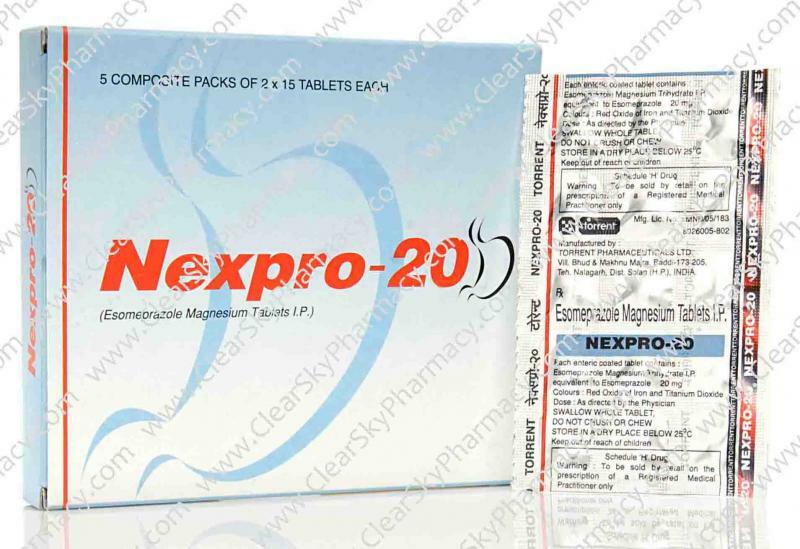 The active ingredient present in Nexpro tablets is Esomeprazole Magnesium. Each tablet of Nexpro contains either 20 mg or 40 mg of Esomeprazole Magnesium. Esomeprazole Magnesium is a white to slightly colored crystalline powder and is slightly soluble in water. Nexpro decreases the amount of acid produced in the stomach and is used to treat symptoms of gastroesophageal reflux disease (GERD) and other conditions involving excessive stomach acid such as Zollinger-Ellison syndrome. It is also used to promote healing of erosive esophagitis (damage to your esophagus caused by stomach acid). Generic Nexium may also be given to prevent gastric ulcer caused by infection with helicobacter pylori (H. pylori), or by the use of non-steroidal anti-inflammatory drugs (NSAIDs). The recommended adult dosage is Generic Nexium 40 mg once daily for 10 Days, Amoxicillin 1000 mg twice daily for 10 Days and Clarithromycin 500 mg twice daily for 10 Days. Take Nexpro tablets (Generic Nexium) exactly as prescribed by your doctor. Do not take in larger or smaller amounts or for longer than recommended. Nexpro is usually given for 4 to 8 weeks only. Your doctor may recommend a second course of treatment if you need additional healing time. Generic Nexium is contraindicated for patients with a hypersensitivity to Esomeprazole Magnesium or any inactive ingredient present in Nexpro tablets. This is not a complete list of side effects and others may occur. Call your doctor for medical advice about side effects of Generic Nexium. You should not take this medicine if you are allergic to Esomeprazole or to any other benzimidazole medication such as albendazole (Albenza), or mebendazole (Vermox). Esomeprazole Magnesium (Generic Nexium) is classified by the US FDA as pregnancy category B. This medicine is not expected to harm an unborn baby. Tell your doctor if you are pregnant or plan to become pregnant during treatment with this medicine. It is not known whether esomeprazole passes into breast milk or if it could harm a nursing baby. Do not use this medicine without telling your doctor if you are breast-feeding a baby. You can buy Generic Nexium tablets online from Clear Sky Pharmacy. Nexpro 20 mg and 40 mg, manufactured by Torrent Pharmaceuticals Limited, India are supplied in a blister strip of 15 tablets. The 20 mg tablets cost only $0.19 per unit when you place an order for 240 tablets.